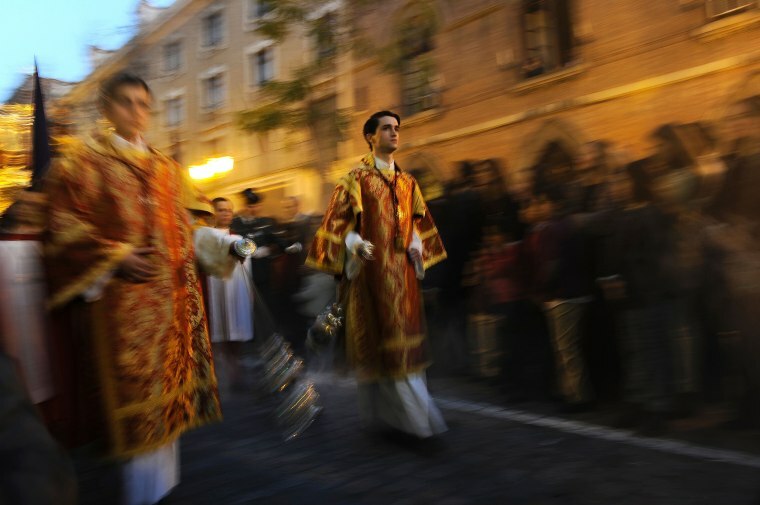 Hundreds of processions take place throughout Spain during the Holy Week leading up to Easter. 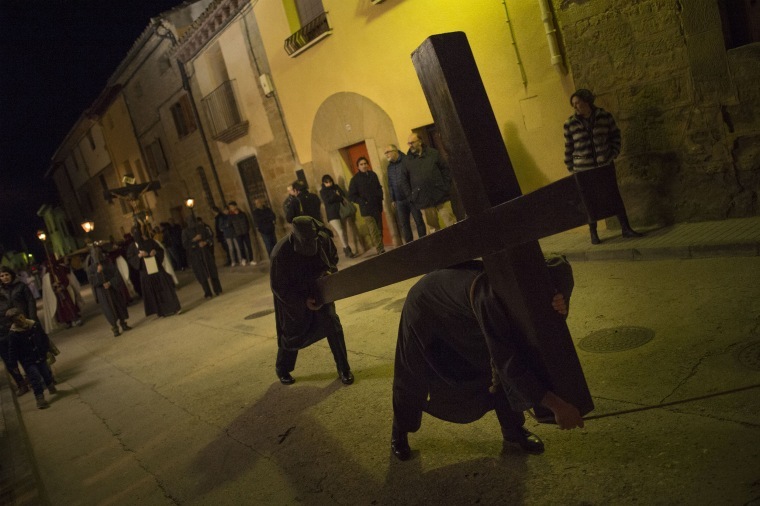 Masked penitents carry a cross as they take part in the procession of the "Ensogado" during Holy Week in Sietamo, northern Spain, on March 24, 2016. 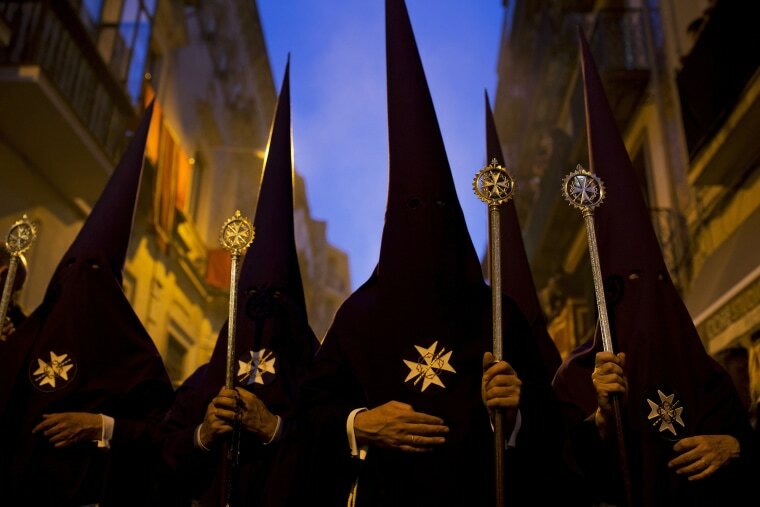 Hooded penitents from "El Valle" brotherhood take part in a procession in Seville on March 24. 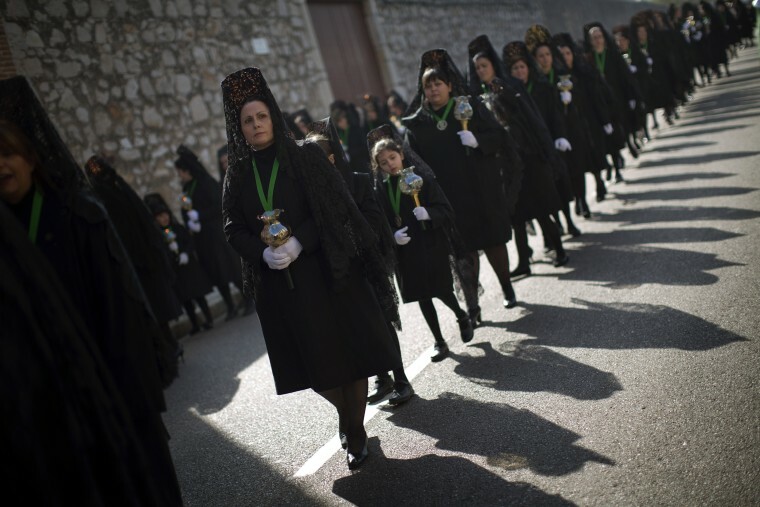 Women wearing the traditional mantilla take part in a Holy Week procession in Zamora on March 24. 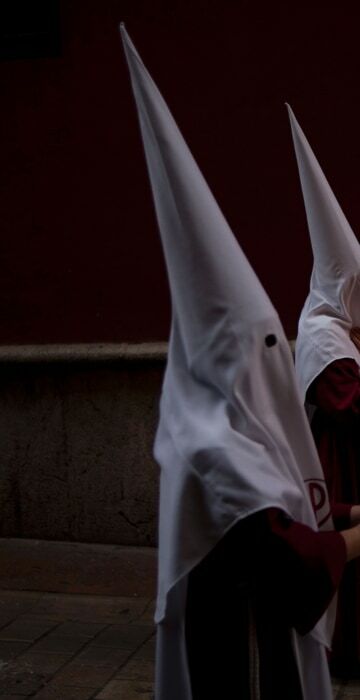 Acolytes of the "El Valle" brotherhood parade in Seville on March 24. 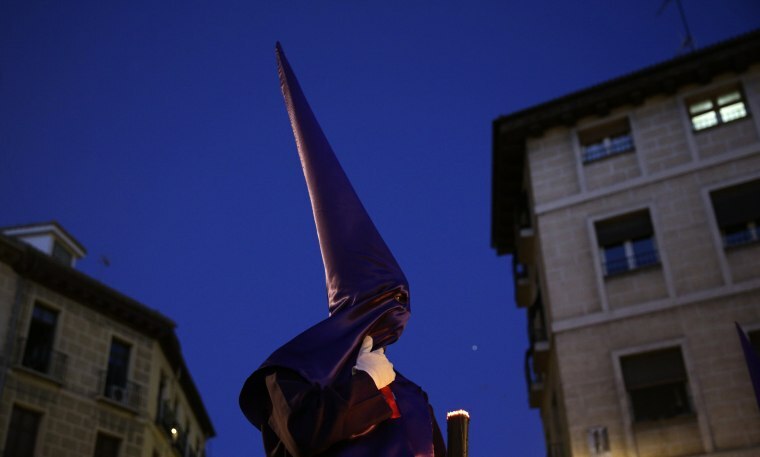 A penitent takes part in the "Jesus el Pobre" brotherhood procession in Madrid on March 24. 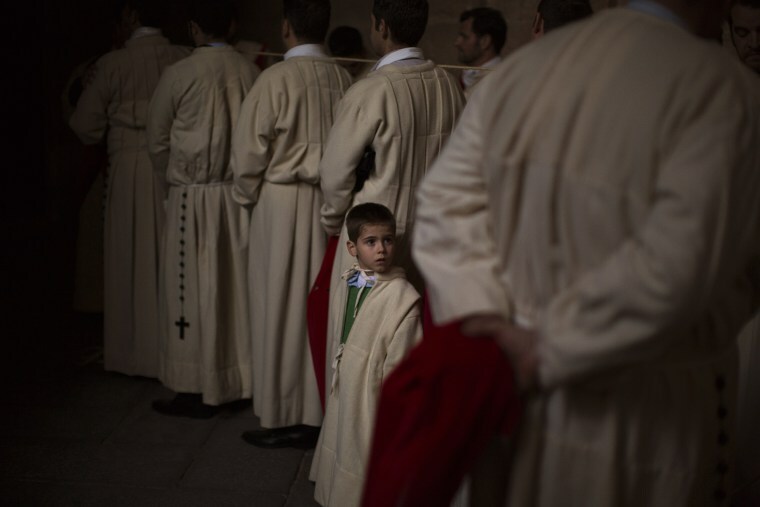 Young penitents wait for the start of the "Ultima Cena del Salvador" brotherhood procession in Santiago de Compostela, northern Spain, on March 24. 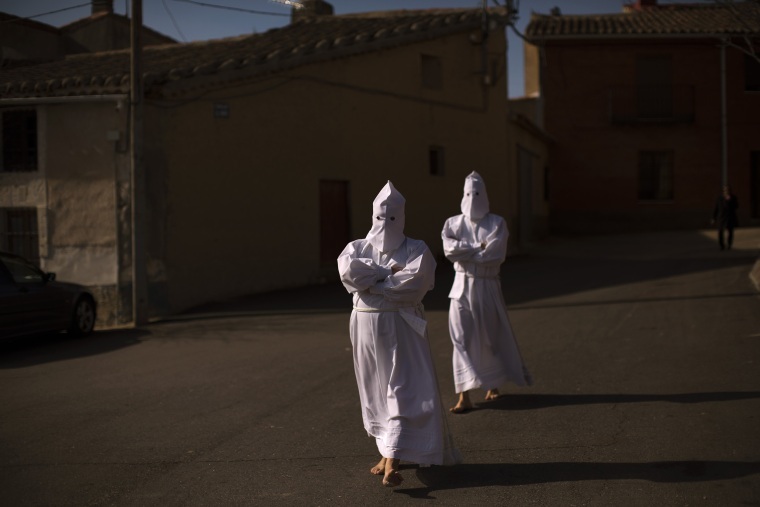 Penitents walk to the church to take part in a procession at the Villarin de Campos village, near Zamora on March 24. 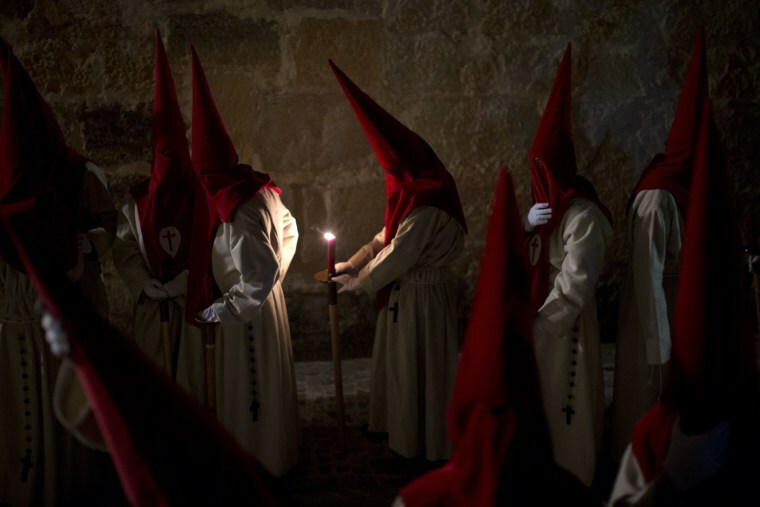 Penitents hold their candles as they take part in the "Procesion del Silencio" brotherhood in Zamora on March 23. 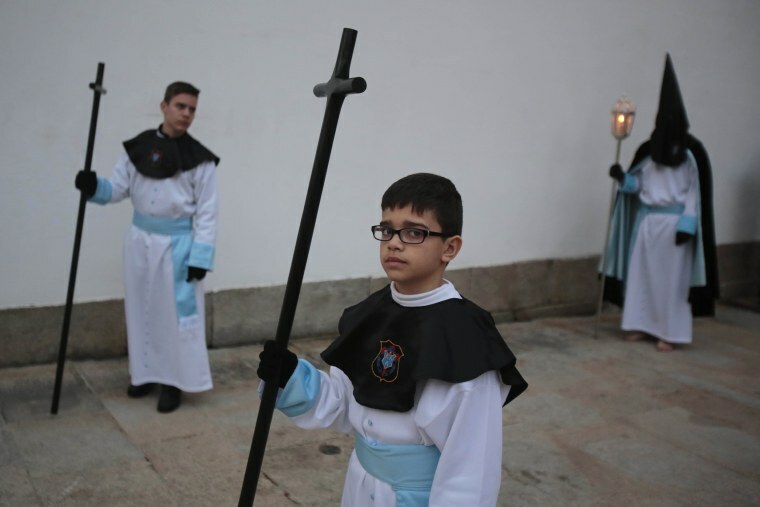 A boy looks at penitents taking part in the "Procesion del Silencio" brotherhood in Zamora on March 23. 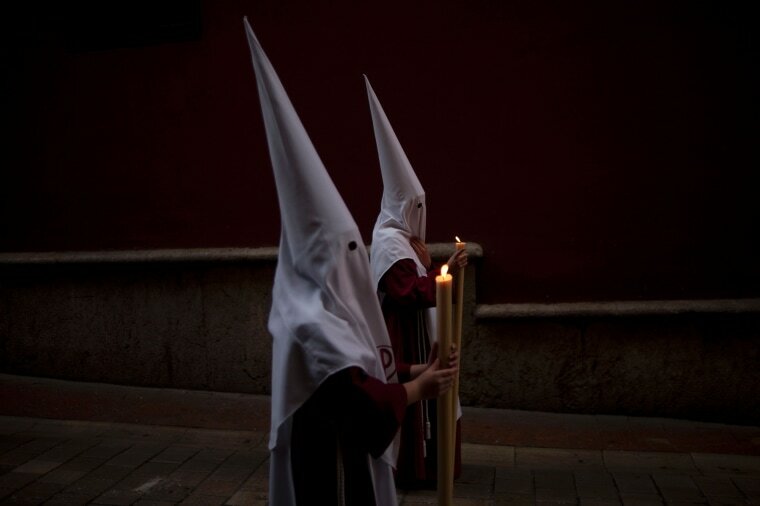 Penitents take part in a procession on March 23 in Granada. 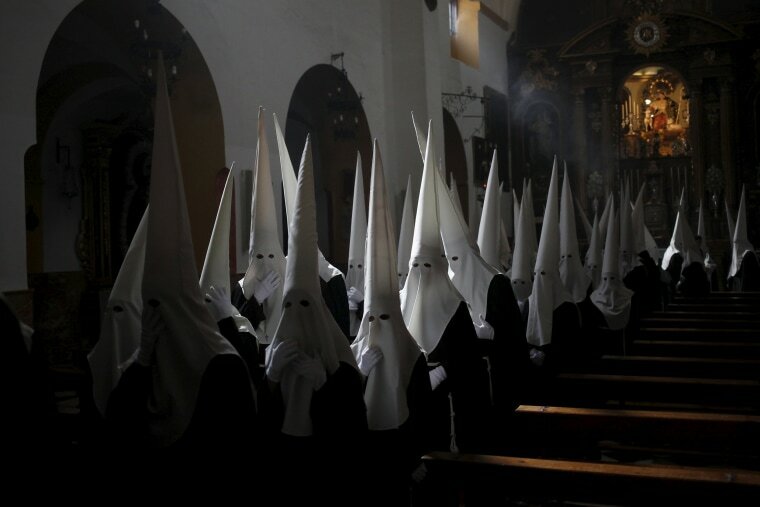 Penitents of the "Dulce Nombre" brotherhood wait inside a church before they take part in a procession in Malaga on March 20.